This tutorial provides step by step instructions on how to generate a CSR Code and install an SSL Certificate on NetScaler. You will also learn a few interesting facts about NetScaler’s, as well as discover the best place to shop for SSL certificates. How to generate a CSR code in NetScaler? How to install an SSL Certificate in NetScaler? 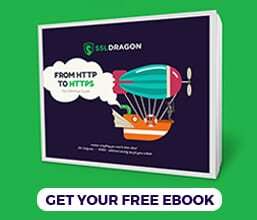 Where to buy an SSL Certificate for NetScaler? The CSR (Certificate Signing Request) code contains your contact data in a block of encoded text that you need to submit to your CA (Certificate Authority) as part of SSL validation. In NetScaler, you must first create an RSA key (private key) and then generate your CSR request. Confirm PEM Passphrase: re-enter your password. If you left the PEM Encoding Algorithm field blank, skip this field. Double check the info you’ve just entered and click OK and then Close. Wait for CA to approve and sign your certificate. Once you’ve received the SSL files on your inbox, you can continue with the installation. To activate the SSL encryption on NetScaler, first you have to install the certificate, and then bind it to your virtual server. Download the ZIP Archive folder that your CA sent you, and extract your primary and intermediate certificates. Depending on your SSL provider, you may have a single file in .pem format containing both the primary and intermediate certificates, or two separate files: your SSL Certificate, and the CA Bundle. 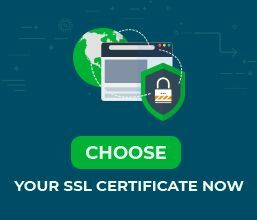 If you’ve received two separate SSL files, you will have to upload the intermediate certificate as a separate file and then link your SSL Certificate to it. Key File Name*: from the Browse drop-down list choose Appliance, and click Browse to locate your RSA key file (key). Click Select, then Open. Note: If you don’t have the Ca-Bundle feature, continue installing the SSL Certificate then follow the instructions on the intermediate certificate. Go to Configuration > Traffic Management > SSL > Certificates and check your SSL Certificates. You should have your primary cert (yoursitename) and intermediate certificate (yoursitename_ic1). If you see only your SSL Certificate (yoursitename) don’t worry. We show you how to add the intermediate certificate in a later section. In the new SSL Certificate Links window, you should find your primary cert listed under Certificate Name, and the intermediate certificate, with _ic1 termination listed under CA Certificate Name. In the left side Configure section, select the old certificate and click Remove to delete it, then hit OK.
On the NetScaler Gateway Virtual Servers page, hover your mouse on the upper right corner and click the save icon (It looks like a floppy disk). Congratulations, now you know how to install an SSL Certificate on NetScaler. If you’ve received your primary and intermediate SSL certificates in a single, combined file, skip this section, and start testing your SSL installation. You’ve successfully linked your primary certificate to its intermediate. To bind your SSL Certificate to the virtual server, refer to the Bind your SSL Certificate to a Virtual Server section. After you install an SSL Certificate on NetScaler, it’s important to check your configuration for potential errors or vulnerabilities. You can do this efficiently with the help of high-end SSL tools. Pick software from the linked article, to get instant scans and reports on your SSL Certificate. Citrix NetScaler Gateway is a secure application access solution that offers administrators application-level control, enabling users to access the application from anywhere. Citrix NetScaler Gateway is part of Citrix Systems, Inc large portfolio, an American multinational software company specializing in cloud computing and computer software. Citrix has purchased several companies including ExpertCity in 2004, NetScaler in 2005, SherFile in 2011, and Sapho in 2018.